DISTRIBUTION: Tropical waters of the western of the western Pacific Ocean. HABITAT: Sandy bottoms in bays or lagoons. 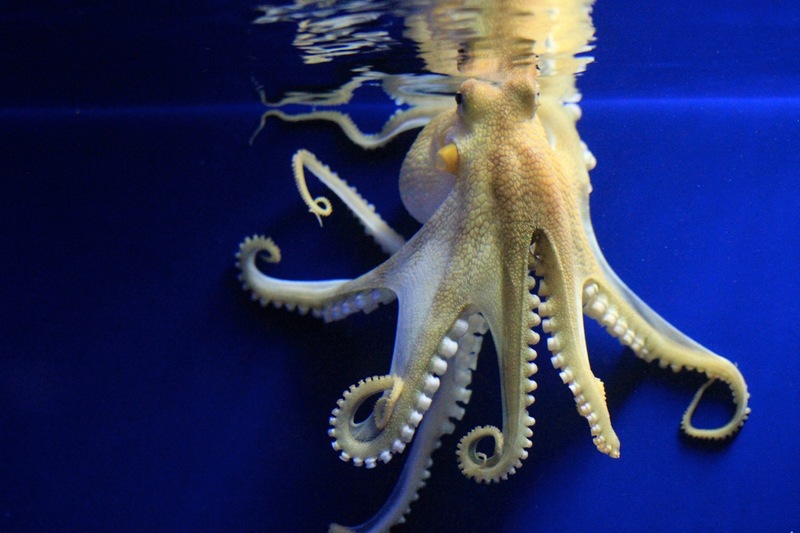 APPEARANCE: The main body of the octopus is typically around 8 centimeters (3 in) in size, and, with arms, approximately 15 centimeters (6 in) long. 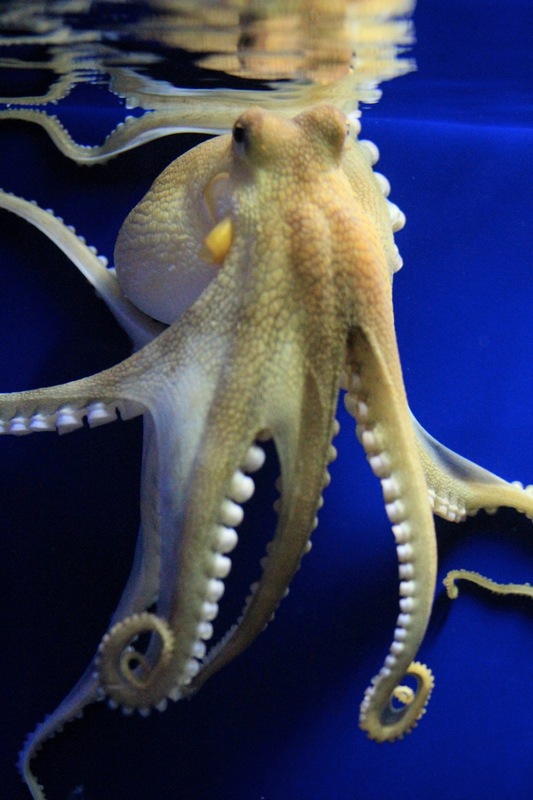 The octopus displays a typical color pattern with dark divergent lines similar to veins, usually with a yellow siphon The arms are usually dark in color, with contrasting white suckers. In many color displays, a lighter trapezoidal area can be seen immediately below the eye. DIET: Shrimp, clams and crabs. REMARKS: A. marginatus is one of only two octopus species known to display such behavior, the other being Abdopus aculeatus. A. marginatus has been observed using discarded coconut shells as a shelter.